Sheriffs assisting in search for missing Kahi Mohala patient Gregory Labar. If seen, call Sheriffs 586-1352 or 911. State Sheriffs are assisting in the search for a Kahi Mohala patient in the custody of the Director of the Department of Health. 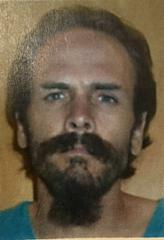 Gregory Labar left Kahi Mohala without permission and is reported as missing. Labar is 36-years old. He was last seen on 9/28/17 at 7:45 p.m. He is 6’2”, 177 lbs. with brown hair and hazel eyes. He was wearing a gray long-sleeve t-shirt, black pants and slippers. Labar's picture is attached. Anyone who sees him is asked to call 911 or the State Sheriffs at 586-1352.